ECAD is first and foremost a network of European cities and municipalities. It currently counts as its members over 250 cities in over 20 countries throughout Europe, Turkey and Russia. ECAD members are leaders and practitioners in the field of drug policy. Has your city joined ECAD? ECAD's main annual event, the Mayors Conference, gathers councillors, politicians, and other government officials and brings them together with academics, think tanks, and organizations to discuss current trends in drug prevention policy. The conference theme and location vary each year. Are you attending this year's conference? ECAD's network is highly active, with a continual calendar of projects, conferences, lectures, study visits, and other events and partnerships. For updates on our latest news, as well as links to interesting and cutting-edge research, check out our blog. You can also hire ECAD for a lecture or get in touch directly if interested in partnering with ECAD. Interested in receiving regular updates about ECAD current events, projects, and partnerships? Sign up to receive our new e-newsletter, or review the archived mailed newsletter by clicking here. International comparative research study about drug prevention methods, risk and protection factors in ECAD member-cities across several European countries. 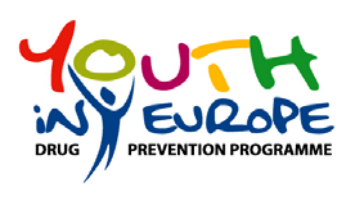 Considered by many to be the biggest health promotion project targeting youth substance abuse across Europe. A global platform for a new drug policy debate based on health. We reject the simple dichotomy between ”a war on drugs” on the one hand and ”legalization” on the other. 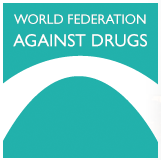 A multilateral community of non-governmental organisations and individuals working for a drug-free world. A free community that welcomes those suffering from drug addiction and marginalization and helps them to once again find their way through rehabilitation. Committed to building a better society with numerous projects designed to prevent drug abuse. EURAD is a European non profit drug policy Foundation that advocates a prevention and recovery oriented drug policy at national and international level.